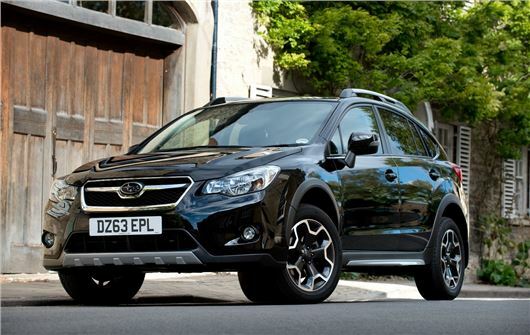 Subaru has announced a new Black Limited Edition variant of the XV crossover. Priced from £24,495 the new model is finished in Crystal Black Silica paint and comes with silver underguards, front and rear mudguards, a cargo step and a foldable cargo tray, plus heavy duty floor guards. The XV Black Limited Edition costs £24,495 in 2.0i petrol form with the Lineartronic automatic gearbox, or £24,995 with the 2.0-litre diesel engine. Regardless of engine choice the Limited Edition model comes with around £1600 of extra gear including the aforementioned styling kit, but it commands a premium of just £1000 over the SE model on which it’s based. All models are all-wheel drive and standard gear includes alloy wheels, heated front seats, wiper de-icers and cruise control. Petrol automatic models return combined cycle economy of 42.8mpg, while the diesel model manages 50.4mpg. Emissions are 153g/km and 146g/km respectively. Order books are open now.